Over 11,000 years ago, a massive, supergiant star came to the end of its life. 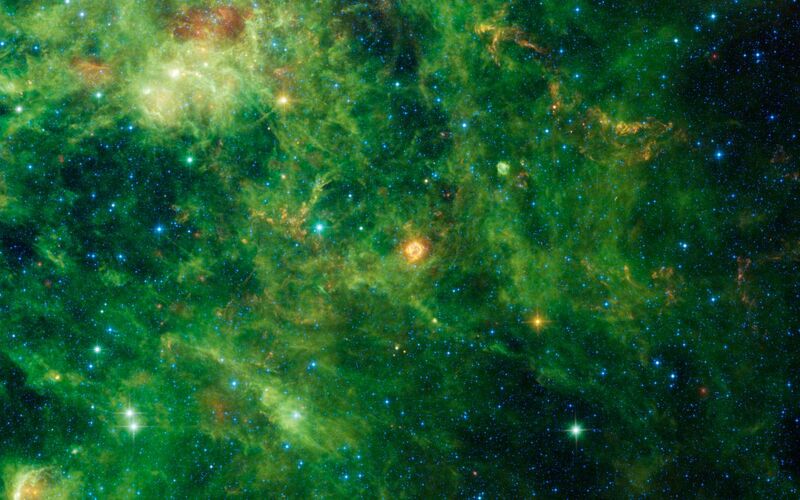 The star's core collapsed to form an incredibly dense ball of neutrons, and its exterior was blasted away in an immense release of energy astronomers call a supernova. The remnant of this supernova was discovered in 1947 from its powerful radio emission. Listed as Cassiopeia A, it is one of the brightest radio sources in the whole sky. More recently, the Wide-field Infrared Survey Explorer (WISE), detected infrared echoes of the flash of light rippling outwards from the supernova. In the image, the central bright cloud of dust is the blast wave moving through interstellar space heating up dust as it goes. The blast wave travels fast -- at an average speed of about 11,000 miles per second (18,000 kilometers per second). By the time WISE took this image, the blast wave has expanded out to about a distance of 21 light-years from the original explosion. The flash of light from the explosion, traveling at the speed of light, has covered well over 300 light-years. 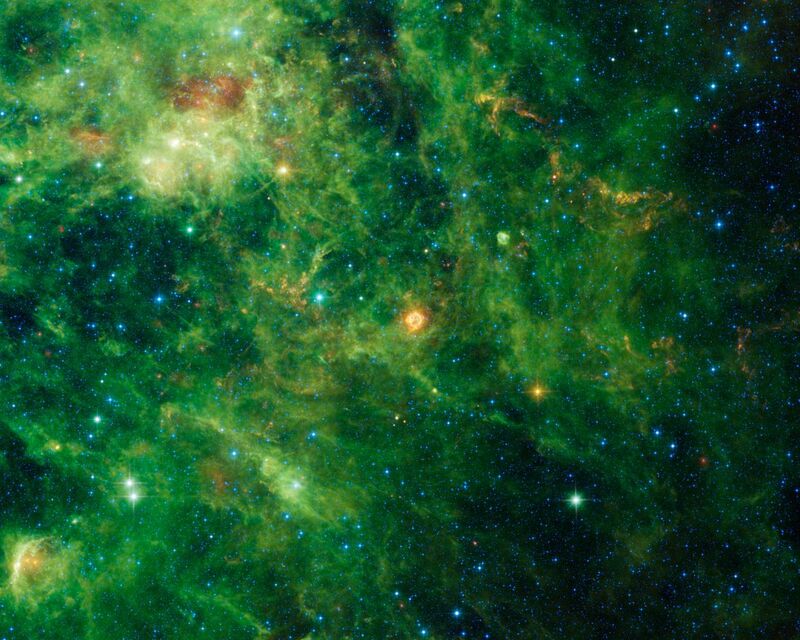 The orange-colored echoes further out from the central remnant are from interstellar dust that was heated by the supernova flash centuries after the original explosion.